Nina Blakemore tells in her Video about the experiences from her HYPOXI- Sessions. Enjoy the insights she give us in the HYPOXI-Studio at Vila Vita Parc 5-Star-Deluxe-Resort, Algarve-Portugal. TAG 6 & 7 der HYPOXI – Session von Nina Blakemore In diesem Video erzählt sie von ihren Erlebnissen bei ihren HYPOXI – Sessions im Vila Vita Parc 5-Star-Deluxe-Resort, Algarve-Portugal. Nina Blakemore tells in her Video about the experiences from her HYPOXI- Sessions. Enjoy the insights she give us in the HYPOXI-Studio at Vila Vita Parc 5-Star-Deluxe-Resort, Algarve-Portugal. 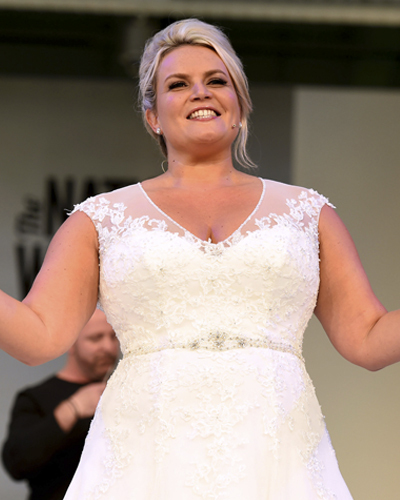 Nina Blakemore, Curve Ambassador, UK. “I suffer with a chronic condition called Lipoedema. It is basically a build of painful fat which usually manifests itself on the lower half of your body – so you carry a lot of excess weight on your hips, legs and bottom area. Lipoedema fat, frustratingly, does not respond to dieting or exercise. Therefore, I was astounded when, personally, I achieved some fabulous results during my HYPOXI experience. I attended Rejuvenate at HYPOXI 3 times a week over 6 weeks and in total, lost 20in mainly from my stubborn areas. I used the ‘HYPOXI-Dermology bed’ for 20 mins then went onto the bike for 30 mins. It is a gentle exercise that suits everybody, especially Lipoedema sufferers as no pain is felt during the treatment. It was so wonderful to see the difference in my bottom half.